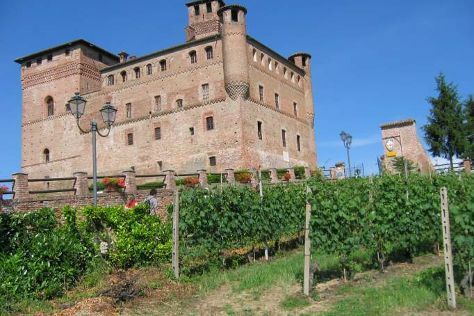 Kick off your visit on the 15th (Wed): explore the historical opulence of Castle of Grinzane Cavour and then make a trip to Borgo di Pollenzo. To see ratings, more things to do, other places to visit, and tourist information, read Pollenzo sightseeing planner. Valletta, Malta to Pollenzo is an approximately 13-hour combination of car and flight. In February, Pollenzo is slightly colder than Valletta - with highs of 7°C and lows of 1°C. Cap off your sightseeing on the 16th (Thu) early enough to go by car to Turin. Change things up with these side-trips from Turin: Team Adventure (in Cumiana) and La Venaria Reale (in Venaria Reale). There's still lots to do: contemplate in the serene atmosphere at Basilica di Superga, examine the collection at Museo Nazionale del Cinema, explore and take pictures at Juventus Stadium, and don't miss a visit to Piazza Castello. To see other places to visit, photos, reviews, and more tourist information, use the Turin trip itinerary planner. Traveling by car from Pollenzo to Turin takes 1.5 hours. In February in Turin, expect temperatures between 9°C during the day and 2°C at night. Finish your sightseeing early on the 20th (Mon) to allow enough time to travel back home.